M Night Shyamalan is still best known for The Sixth Sense (1999) after all these years, and its ending that probably has one of the best known twists in the history of film. His career had never quite matched this success until Split (2017), which came top of the box office last weekend in the USA, largely thanks to the promise of one of his trademark twist endings. But does it work? SPOILERS (well, duh!). No need to go over the twist as either you have seen the film already, or you have not and therefore should not be reading this. My main problem with the ending is that the rest of the film almost feel like an afterthought to finally reach it. While the opening scene with the kidnapping is unnerving, most of the film screen time is spent with his three victims in the cellar, and there is no sense of tension or suspense. Even the premise of Dennis and his multiple personalities feels like a red herring that goes nowhere, despite the too rate scenes with his analyst being the most interesting of the film, with a Dressed To Kill (1980) vibe. We did not need The Horde, The Beast could have just been the Mr Hyde to his Mr Jekyll, and we could have reached the same ending. I understand the director keeps trying to have us second guess as to where the plot is going, but too much of it feels like padding. 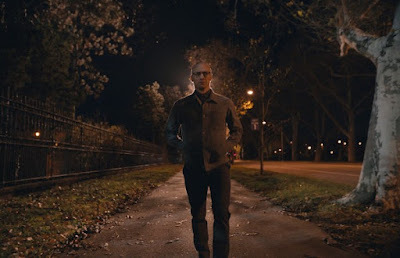 As for THE ending, how well does it work if you have not seen Unbreakable? Without being condescending, some audience members might just remember Bruce Willis in The Sixth Sense as opposed to Unbreakable among Shyamalan’s work and be utterly baffled trying to make a connection to it! It is such a shame as it is actually a brilliant idea, and just the way the recent Blair Witch (2016) remake was made in secret and presented to the audience as a completely different film, I love the idea of a director making a sequel to a film and the audience not realising it until the very last shot! Yet why squander it with such a dull and unsatisfying film until then?